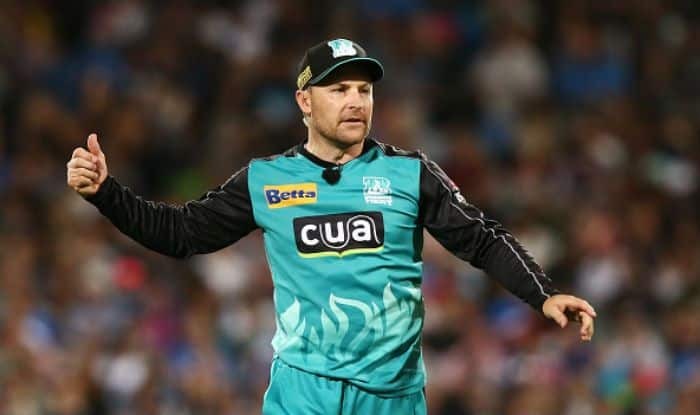 Former New Zealand skipper Brendon McCullum announced his retirement from Big Bash League (BBL) as he looks to transition into a coaching career. The 37-year-old, who ended his international career in 2016, told his teammates at Brisbane Heat of the decision after his side’s six-wicket win against Adelaide Strikers on Sunday. However, McCullum will continue playing in other T20 leagues before beginning his career as a coach. “I will continue to play T20 cricket in 2019 in various competitions around the world and will then look to transition into a coaching career. The prospect of being able to transfer the skills, experience and leadership I have been lucky enough to bank over my long T20 and also international career into coaching is very exciting,” ICC quoted McCullum, as saying in a statement. Brisbane Heat’s clash against Melbourne Stars on February 8 is likely to be Kiwi wicketkeeper-batsman’s last match in the tournament if his side, placed at fifth position on the BBL ladder, do not make it to the semi-final.